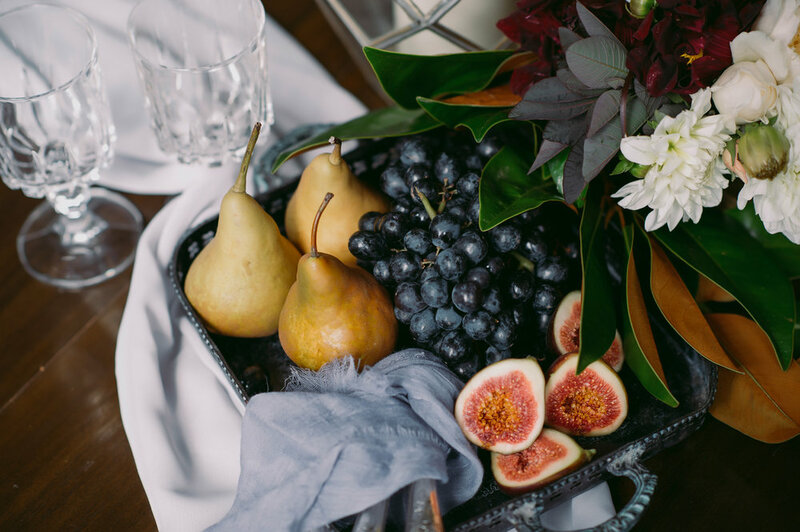 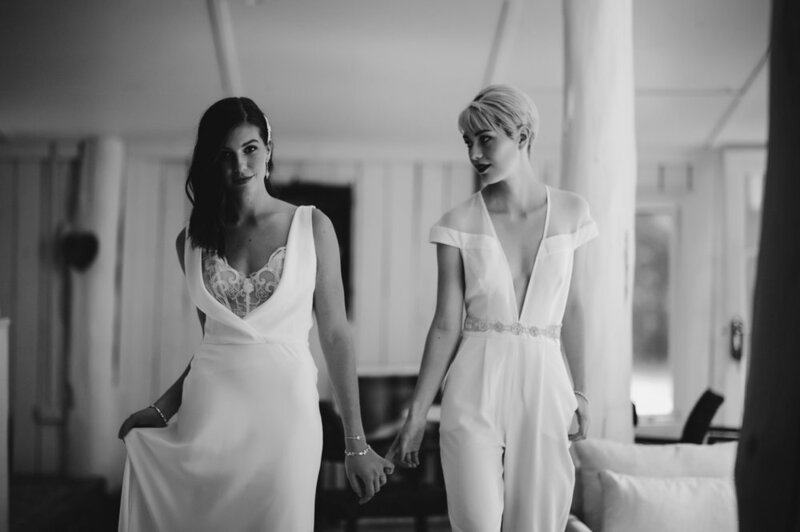 LOVE IS LOVE - UNASSUMING INTIMACY — CM Bridal Co.
Set on a beautiful country estate in the Mornington Peninsula, the CM Bridal Co Makeup team were invited to collaborate on this magical bridal editorial. 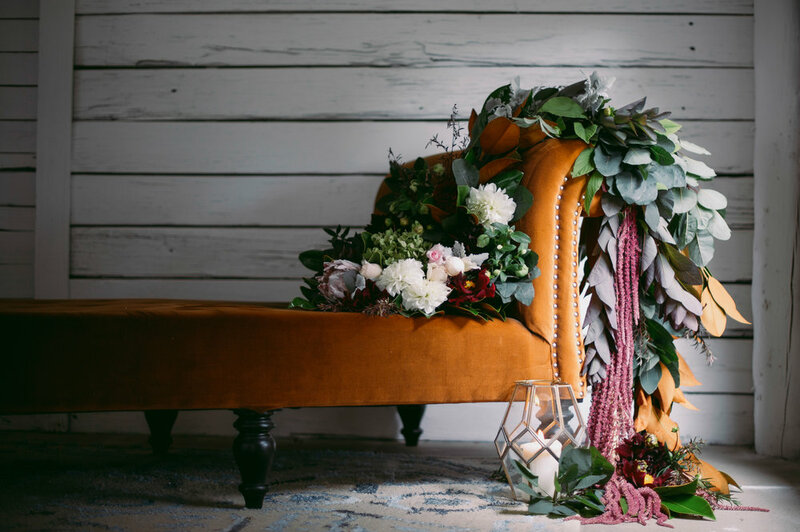 This styled shoot captures the essence of true love - one love. 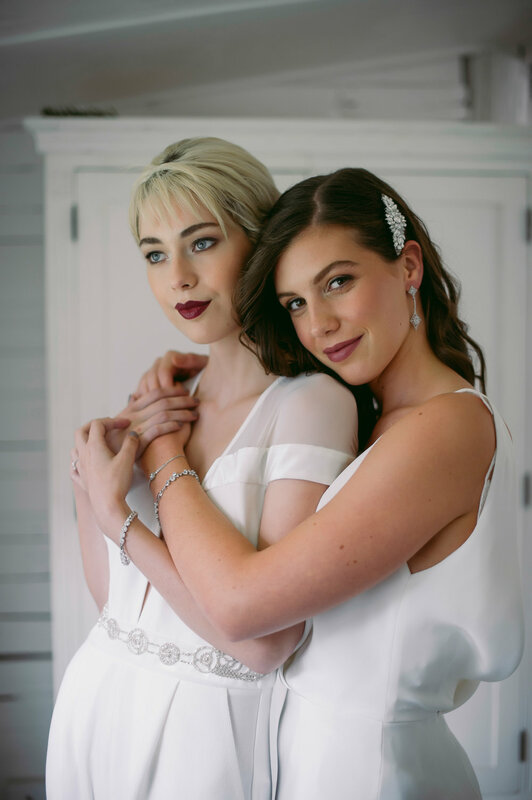 Photographed by Jessica Abby and styled by Ruby & James with jewellery by Jeanette Maree and dresses by Luci Di Bella, this raw editorial portrays the love between two brides - Love is love.